Last year’s Jackbox Party Pack quickly became a party game of choice for my friends and I. Owing to a collection of games that were not only fun, but simple to pick up and play. The genius was that anyone present could play along with their phone, laptop or tablet. Not having enough controllers was not an issue. 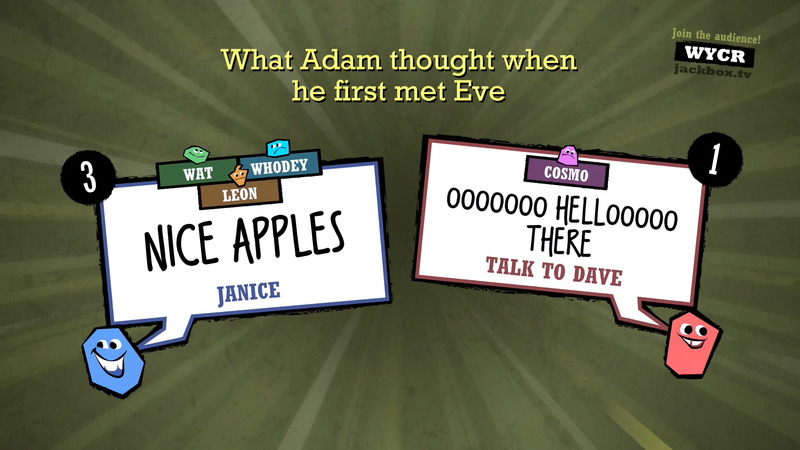 Jackbox Party Pack 2 brings another quintet of multiplayer games to our living rooms. My personal favourite game from the last pack, Fibbage 2, has everyone tasked with answering an offbeat trivia question with a convincing lie. Those lies are then added in with the actual answer and you score points for guessing the true answer while having others pick your lie. The true beauty of this game is in the questions themselves. Even the most mundane of the questions are the kind you would know the answer of from religiously reading the weird news section of Fark or the Metro. Thankfully, there is help in the form of the defibrillator. For one question in every game, you can use the defibrillator to remove all but one lie and the true answer, which is a helping hand if you were truly stumped on a question. Not too much has changed from the original. “If it isn’t broke, don’t fix it” is the axiom that fits here. So if you have played the original and want more, this will be perfect for you. Art or anything related to drawing has never particularly been a strong suit of mine. So I never expected to enjoy Drawful, from last year’s pack, to be so fun. Essentially Pictionary with a twist, players would take a guess at what you had drawn. Those answers would then be displayed on screen with the real answer. If they could correctly identify what you had drawn, you scored points. If they chose another players, they would score instead. The simplicity and quick paced nature of the game made for some hilarious situations. 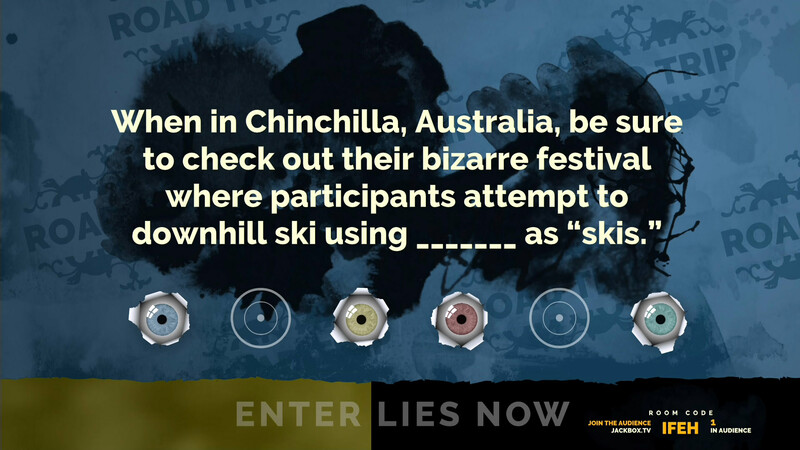 Bidiots, in Jackbox Party Pack 2, takes this concept and attempts to run with it. 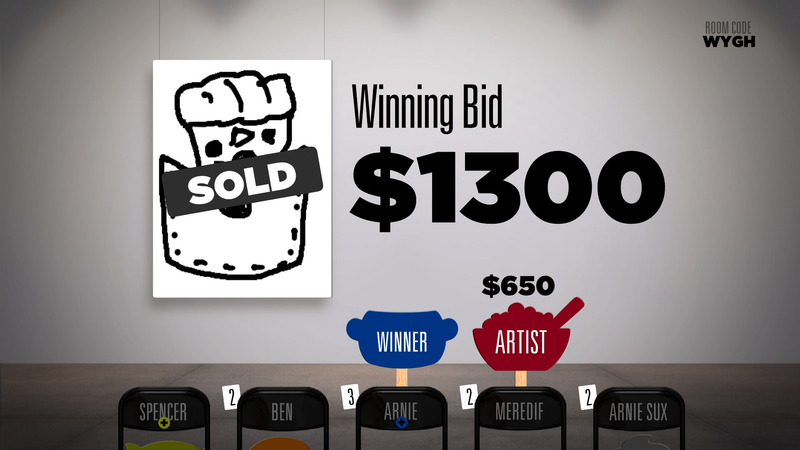 Taking place at an art auction, players are given the titles of two pieces of art and tasked with drawing them. After the pieces are submitted into the auction, players become auctioneers and are given the monetary value of a few of the pieces up for auction. With $3000 and the insider knowledge they have on these pieces, the aim of the game is to make as much profit as possible by purchasing high value artwork for as little as possible. When the auction starts, you quickly realise that a lot of the art pieces are based around similar themes. With crudely drawn pictures and very similar titles, it soon becomes a lot less clear as to whether you are bidding on a piece called “spiky hair” valued at $3000, or another piece called “bad hair day” that may only be worth $600. The collectors sometimes give hints on what other players may be bidding on. So you might not know the value of the piece up for auction, but you may be told that another player knows the value of this piece and to follow their lead. Some added tactics come into play as each person gets a “screw”, which forces a player of your choosing to bid on a piece. Used effectively this could be damaging to a rival by forcing them to bid on a piece that you know is useless. If you find yourself low on money, you can also call in a loan. But beware as the loan cost and interest will be subtracted from your end game profits, so user discretion is advised. When everything sinks into place it is a very fun game. 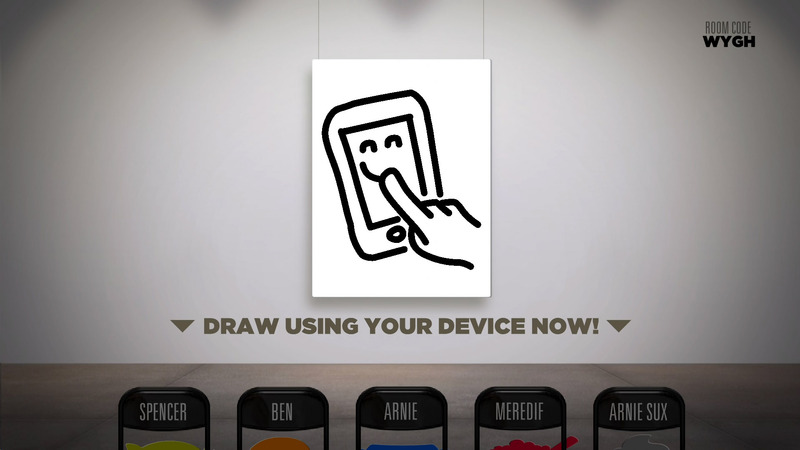 I found myself wanting to play Drawful instead, as it is a snappier and more simplistic game. Unlike the other games in the pack, I feel like the learning curve is a bit steep. In comparison to the (over)complexity of Bidiots, Quiplash is easily the simplest game in the pack and one of the most fun. In every round players are given two phrases or questions to answer. Players who answer the same questions are matched up against each other and votes must be cast by the remaining players on which answer they thought was the best. If using a streaming service like twitch to broadcast your game, the audience participation feature is definitely what helps this game to shine. With a potential audience of up to 10000, you are definitely forced into bringing your A-Game. I found myself also taking into account what the audience had previously found funny, when writing my next quip. It did not always work out in my favour, but brought a new dynamic into the game. Earwax is a similarly simplistic game which pits a player at random as a judge, while the rest of the players have to pick two sounds to answer the statement on screen. The winning player gets a point and the first to three wins. The issue is with this game, is that you have no idea how any of the effects will sound. So, unless it’s an effect you have picked before, there is little indication of whether your choices will have the desired effects. Some sounds were met with hearty laughter, while others had the room deathly quiet. The brevity of the game is one of its strengths however, and it definitely works as a quick silly game that is easy to pick up and play. While Earwax is the weakest game in Jackbox Party Pack 2, in my personal opinion, it is still quite a fun game in short bursts. The last of the games in Jackbox Party Pack 2, Bomb Corp, in a somewhat strange move for a party game; has a story mode that can be played solo or with up to four players. You start a new job at a company that is tasked with creating bombs. However they seem to be a very negligent company and their bombs are prone to activating. You must work to diffuse them if you want to survive and outlive poor Todd, the previous guy whose shoes you are now trying to fill. Added in with bumbling staff and everything you interact with in the office having a propensity to explode, every day brings new challenges such as file cabinets might explode if sorted incorrectly or door keypads that will explode if you enter the code in wrong. You’ll have to keep your wits about you to survive through to the weekend. Bomb Corp is probably the oddity out of all the games in Jackbox Party Pack 2. An apt comparison would be one to the recent ‘Keep Talking and Nobody Explodes’ on the surface. Both are concerned with defusing bombs, and communication is vital. That is however where the similarities end. 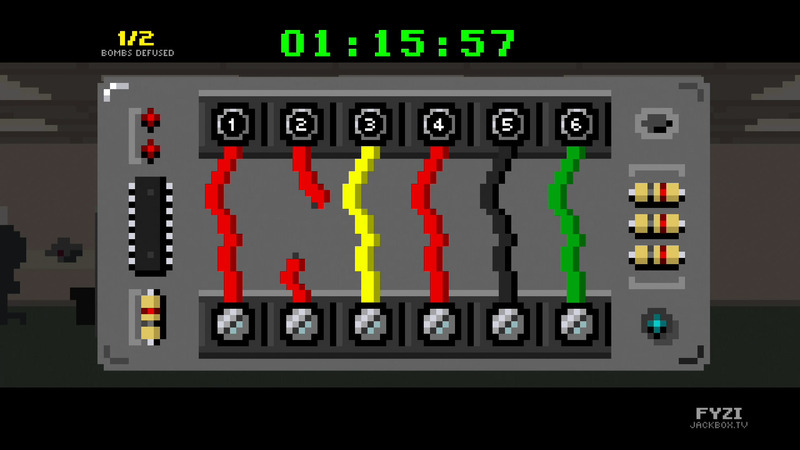 When diffusing bombs, players will have a set of numbered instructions telling them what wires to cut. This starts off pretty simple, but quickly rules start to contradict each other and with the clock constantly ticking, the pressure is always on. I found however it was very frustrating when the wrong choice was made and you had to start the day again. Sadly you cannot skip the cut scenes either. 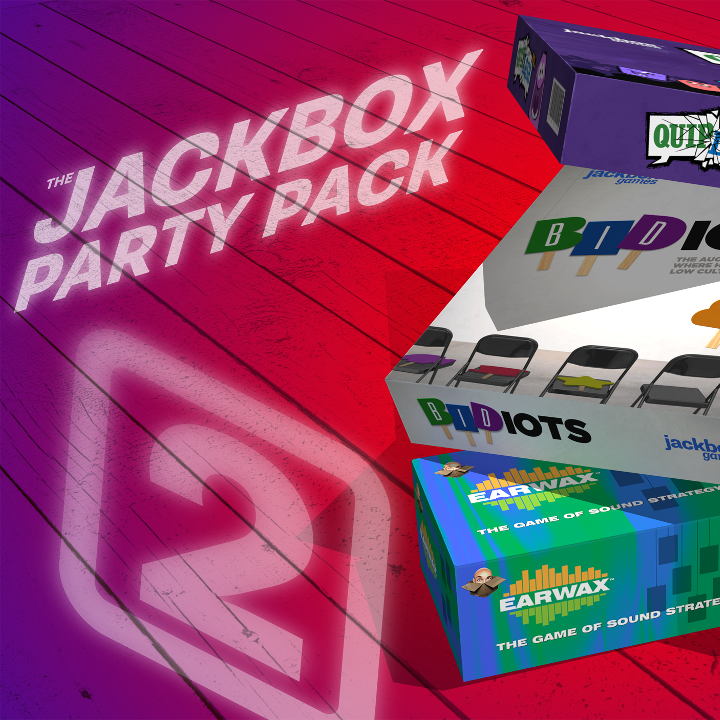 The Jackbox Party Pack 2 is a great purchase for those that want a few fun games to play when friends come round, or even a great game to play while streaming due to the audience interaction. However, it plays it a little too safe with some of the favourites and some of the new additions do not always work. It is a worthwhile purchase for Fibbage and Quiplash alone, whether you are a newcomer or a fan of the previous pack such as myself.